If you've been waiting desperately for an opportunity to monetize your crippling avocado addiction, 2018 may be the year it happens. That's because weight loss researchers are currently on the hunt for study participants who will get paid $300 to eat an avocado every day for six months. Researchers hoping to determine whether an avocado-rich diet can help people lose belly fat are looking to recruit a whole bunch of people willing to eat the famously high-fat fruit on a regular basis, and have their health stats monitored. To do so, they're offering would-be participants a few hundred bucks (and a steady stream of free avocados). The study, which is being headed up by folks at the Loma Linda University School of Public Health, will randomly assign participants into two groups: a test group tasked with consuming 16 avocados every two weeks for six months, and a control group that requires eating no more than two avocados per month for the same period. The researchers are hoping to recruit 1,000 participants in total, 250 of which Loma Linda University will find. Three other schools -- Tufts University, Penn State, and UCLA -- are collaborating on the work, and will also recruit 250 participants each. To qualify as a candidate you must be 25 years-old, and willing to either eat an avocado every day for half a year, or abstain from eating more than two every two months. Also, if you're a dude, your waist must measure at least 40 inches, and if you're a woman, your waist must measure at least 35 inches. If you're picked, you'll get free MRI and health screening, and will have to meet monthly with a dietician and at the end of the six months, you'll get your check for a cool $300. 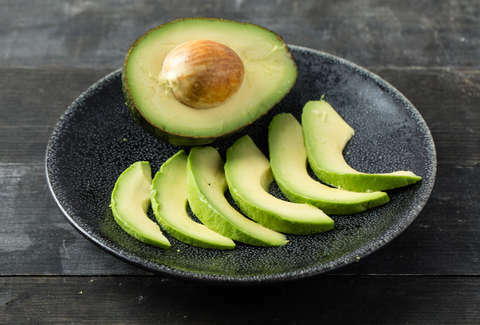 It's worth noting that the study is being funded by the Hass Avocado Board, though officials insist that the sponsorship won't affect the findings. For anyone suspicious that $300 isn't enough to even cover the cost of a six-month supply of avocados, not to worry: all participants will receive their requisite avocado dosage for free. If you're interested, you can apply to get involved here.